YOUNG REPORTER – Since 1993, 22nd March has been dedicated to the celebration of World Water Day. This year, the Young Reporters, in partnership with the Ituri listeners club for children, have come together for the treatment, preservation and importance of water. EXHIBITION – 20 former Child Reporters were trained on hosting and looking after the exhibition equipment over 3 days. 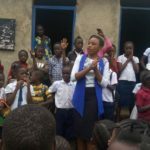 The goal was to share information relating to water with Kinshasa pupils and encourage the children to change their behaviour in terms of water management. 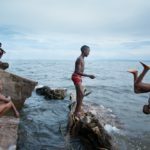 YOUNG REPORTER – The large number of displaced people caused by the violence which disrupted the peace in the Province of Ituri is leading to a serious hygiene problem. Children and women are living in precarious conditions that make it difficult to practice good hygiene. YOUNG REPORTER – We that all these deaths of children due to the diseases of unsanitary dirty hands are just too many deaths! 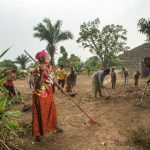 These deaths occur because the different decision-makers on water, hygiene and sanitation issues do not follow through on nor fulfill their commitments to children. YOUNG REPORTER – Goma, one of the most beautiful cities in the Democratic Republic of the Congo, is situated at the edge of Lake Kivu. 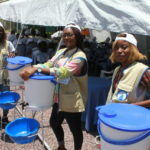 Nevertheless, the lack of water remains a problem for this city where the cholera epidemic is a reality. YOUNG REPORTER – Water is indispensable to every human being. Congolese children continue to suffer, and even die as a result of the lack of access to drinking water. This cannot be tolerated. 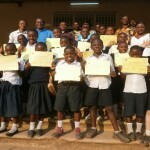 Our advocacy for « Healthy Neighborhoods » in DRC has succeeded! 29 November 2016 No Comments on Our advocacy for « Healthy Neighborhoods » in DRC has succeeded! 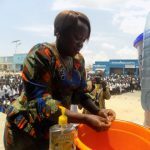 In DRC, handwashing is not a habit for most of the Congolese population. 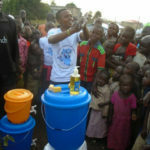 Handwashing is a cheaper habit that can save lives. Young reporters – field reporting covering two primary schools in the Katuba commune of Lubumbashi : a healthy school and one that is not.